It’s not easy being a parish priest. It often comes with a lot of disappointment and frustration. There have even been a couple of times that I wanted to hang up my cassock and find something else to do with my life. I won’t pretend my life is harder than anyone else’s, though. I can’t compare, anyway, because it’s the only life I’ve got, so I wouldn’t know. That said, Great Lent, Holy Week and the Paschal services we have just celebrated are for me the very heart of the priesthood. To be ordained to stand at the center, to touch the holy things, to handle the Body and Blood of Christ, to announce the mystery of Christ’s destruction of death—these are for me not just what “makes it all worth it,” but they are what defines my whole life itself. 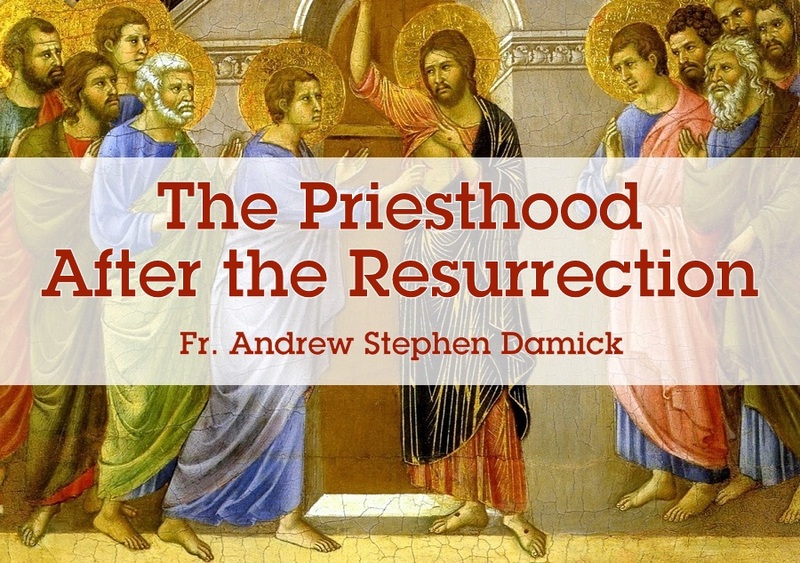 For the ten weeks before Pascha, we explored the priesthood in a sermon series—the High Priesthood of Jesus Christ, the ordained priesthood of the episcopacy and presbytery, and the royal priesthood of the people of God. I found myself learning a lot in this exploration. And what this exploration has taught me is that the actions of the priesthood are offered to all mankind by Christ. 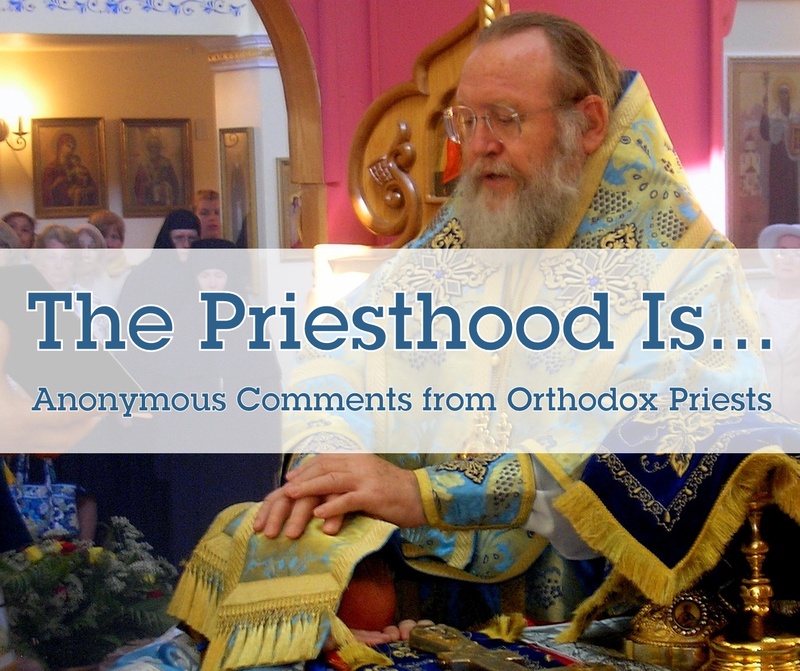 The ordained priesthood is not “higher” than the royal priesthood. 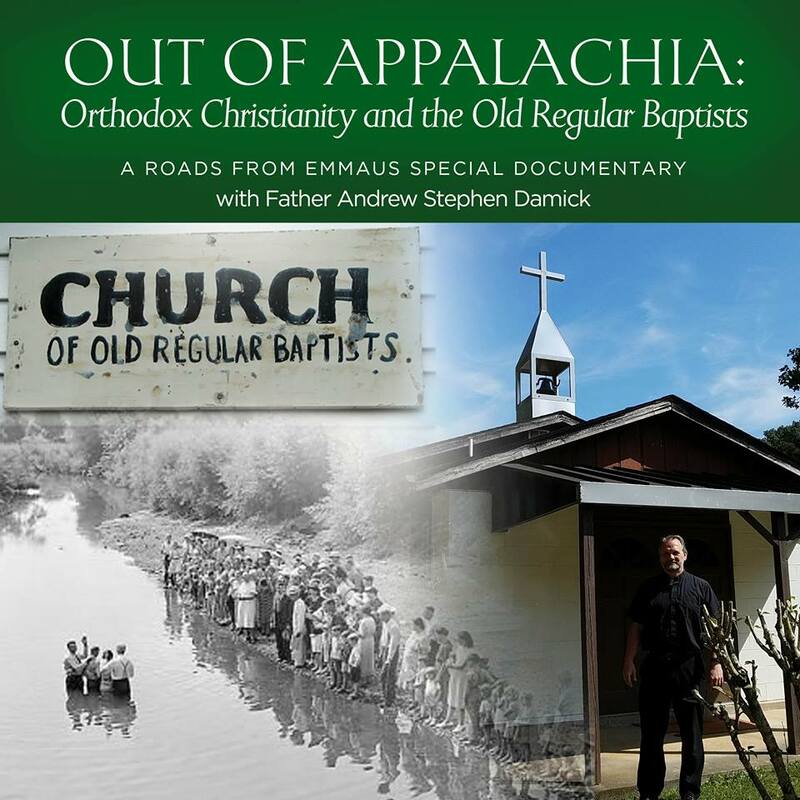 Ordination depends first of all on baptism. There is no ordained priesthood without the royal priesthood. Christ has offered the priestly vocation to every person. This means that every one of us is called to stand at the center of our worlds and become servants of the mysteries of Jesus Christ. Every one of us is called to invite those nearby to that communion. Every one of us is called to announce the mystery of resurrection. We have now beheld the resurrection of Christ. We therefore worship Him. And we also call others to worship. This is what it means for us to be a whole nation of priests. All of this is brought to mind today as we celebrate the memory of an event that took place on the eighth day from the resurrection of Jesus—the encounter with Thomas. We see Jesus twice in the Gospel for today. He first appears to ten of the disciples—Thomas is not with them. It says in this account that Jesus shows them His hands and His side, proving to them that the body that they see before them is the same body that had been nailed to the cross and into which the spear had been thrust. It is the same body that had died and was now risen from the dead. This was the same Jesus. It was not a zombie. It was not a spirit. It was not some kind of trick. This was the same Jesus. The core disciples, who would become His Apostles, here are seeing the resurrected Jesus as a group for the first time. So Jesus gives them His peace, and He breathes upon them. We may recall in Genesis where God breathes the breath of life into Adam, making him a living soul. Here Jesus is breathing the Holy Spirit into the disciples, and He gives them the task of forgiving sins and also of recognizing when sins aren’t being forgiven. Jesus is, in other words, giving a priestly action to the disciples. And as we know from subsequent Church history and from our life in the Church even now, this priestly ministry of forgiveness continues. It is one of the core functions of the ordained priesthood to pronounce forgiveness over a repentant sinner. But priestly forgiveness isn’t just about the sacrament of confession. It is about bringing the healing of sin into every part of life. This is why it belongs to all of us. We exercise our royal priesthood when we bring forgiveness with us. What we should walk away from this scene remembering, though, is not just that Jesus here gives the authority of forgiveness to the Church. It is rather that the disciples, having seen the resurrected Jesus Christ, are being given priestly authority. They will now bear witness to what they have seen and heard, and that witness is ministry. Before we get to the second appearance of Jesus in this passage, I want to talk about something else we are celebrating today—the feast of St. George. St. George is mostly known via fabulous accounts having to do with a dragon and a princess, but if you listen closely to the hymns dedicated in his honor, you will see they mostly focus on another act—his martyrdom. St. George is called a “great-martyr,” which means that he was not only killed for his faith in Christ but was tortured for it, as well. Up until the moment of his discovery as a Christian in the late third century, his faith was not something he proclaimed publicly. But when the moment of truth came, he boldly confessed that he was a Christian. Why? Why didn’t he just keep quiet and spare himself? It’s because he also knew the resurrected Jesus Christ. He was not an eyewitness like the Apostles, but he knew Jesus through faith and through participation in the Church. And because he had seen the resurrected Jesus in this way, he also exercised the priestly ministry of bearing witness. And his witness was like our Lord’s—a witness even unto death. This was St. George’s priestly ministry, to offer himself up as a sacrifice because he knew the resurrected Jesus Christ. And he inspired a lot of other people, too, who turned to Jesus Christ because of his witness. We now return, a week later, back to those disciples. This time, Thomas is with them, and Jesus again appears. This time, Thomas gets to see what the ten had seen—the resurrected Jesus, proven by the wounds in His hands and side. And Thomas now exercises a priestly ministry. How? He proclaims to all present just Who is standing before him. He exclaims, “My Lord and my God!” Announcing the lordship and the deity of Jesus Christ is also a priestly ministry. So in all three of these ways—forgiveness, giving up ourselves as sacrifices, and announcing the truth about Jesus Christ—we are called to exercise our royal priesthood. This past Wednesday was the nineteenth anniversary of my reception into the Orthodox Church—into the royal priesthood of Christ. For me, my path of priesthood eventually included ordination to the presbyterate. But even if it had not, I would still count these holy days most precious, because here is the great secret of the universe—that God became man, that He entered into death, that He is the firstborn from the dead, and that He invites us into His own priesthood so that we also can stand at the center and bring life to the fallen. I’ve celebrated twenty Paschas now, and for me it’s just a beginning. Brothers and sisters, by faith, by our participation in Christ in His Church, we have also seen the resurrection. Let us now take up our royal priesthood and bring that resurrection to the world. To the Risen High Priest Jesus Christ be all glory and honor and might, with His Father and the Holy Spirit, unto the ages of ages. Amen. Many years Father in your journey, your beginnings! There are so many passages in scripture that have come to life since entering the Church, and one of them is the one you quoted above, where Jesus breathed on the disciples, receiving the Holy Spirit, and then the reference to binding and loosing. This passage stuck with me like glue. It was explained though, according to another theology. For me, it was confusing…too many things had to be “explained away”. So now we have thousands of people boldly declaring these things without any foundational authority. How can there be a consensus? This fits in well with the rejection of the ordained priesthood, or as you have said, the non-liturgical churches. The book of Hebrews is another mish-mashed interpretation. I recall a pastor saying that Hebrews is a very difficult book to comprehend. It is if your theology differs from what was revealed from the beginning, when the book was written. When you were speaking of St. George you said something that caught my eye, that “through faith and through participation in the Church” he was led to believe. Those two points are crucial. Thank you Father Andrew. I truly feast on these teachings.